Mark Geragos, one of the attorneys on Jussie Smollett’s legal team, had strong words for Chicago police Superintendent Eddie Johnson and Mayor Rahm Emanuel after their press conference on Tuesday. 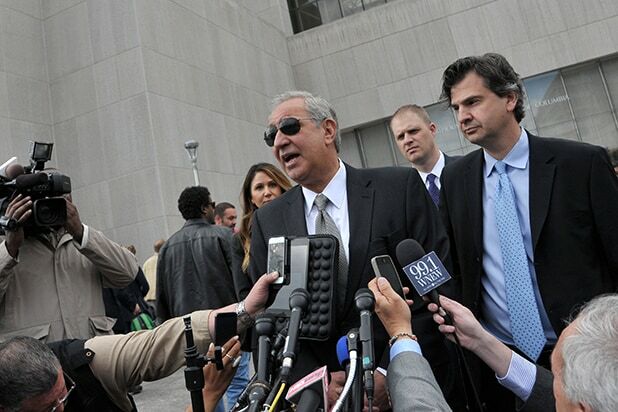 Appearing on “The Adam Carolla Show” on Wednesday, Geragos said he was “irate” about the press conference, in which Johnson and Emanuel blasted Chicago prosecutors’ decision to drop all charges against Smollett. Johnson and Emanuel appeared together before reporters on Tuesday to voice their strong disagreement with the Chicago State’s Attorney’s office announcement that it would not pursue the 16 felony charges against the “Empire” star. Smollett was accused of faking a Jan. 31 hate crime in which he said two men beat him while yelling racist and homophobic slurs. Police said that Smollett paid the men to stage the attack because he was dissatisfied with his pay on the Fox musical drama. Smollett has maintained his innocence throughout the investigation. Prosecutors dropped the charges, citing Smollett’s voluntary community service and mandating that he forfeit his $10,000 bond payment to the city. However, First Assistant Cook County State’s Attorney Joe Magats said the move “did not exonerate” Smollett. Geragos said he believes the two men who attacked Smollett earlier this year — brothers Abimbola “Abel” Osundairo and Olabinjo “Ola” Osundairo — acted of their own accord. A Chicago Police Department spokesperson did not immediately respond to TheWrap’s request for comment.